When it comes to protecting critical assets, nothing comes close to sapphire. Using water as a fire suppressant in areas where electronics operate and irreplaceable, high-value assets are stored could be as devastating as fire itself. Protect them instead with an ANSUL® SAPPHIRE® clean agent system, custom-engineered to quickly suppress fires and protect sensitive equipment without causing harm to people or the environment. 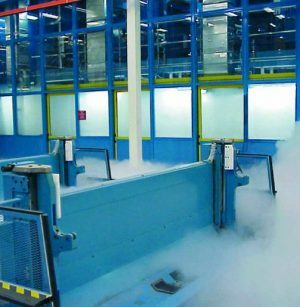 The heart of the system is revolutionary 3M™ Novec™ 1230 fire protection fluid, a clear, colorless and odorless clean agent. Stored in cylinders in its fluid form, Novec 1230 instantly vaporizes upon discharge, totally flooding protected spaces and absorbing heat better than water. 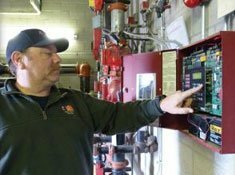 In tandem with a sophisticated ANSUL AUTOPULSE® control panel, the SAPPHIRE system suppresses a fire before it can start by detecting it at invisible levels. And once the danger has passed, Novec 1230 quickly evaporates without harming any valuable assets. 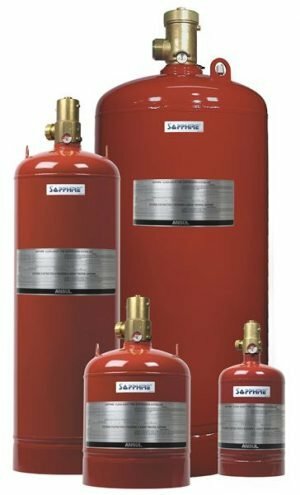 SAPPHIRE suppression systems represent the most effective fire protection on the market today. These systems are especially suited to suppress fires in areas where an electrically non-conductive medium is required, where electronic systems cannot be shut down in an emergency, where cleanup of other agents poses a problem, and in normally occupied areas that demand a non toxic agent. Because it is used at concentrations of only 4 to 6% by volume, well below the 10% concentration maximum for safe exposure, Novec 1230 provides the widest safety margin of any chemical clean agent available today. In accordance with NFPA 2001, Novec 1230 is safe for occupied spaces. An ozone depletion potential (ODP) of zero, a global warming potential (GWP) of one and a five-day atmospheric lifetime (the next closest product is 33 years) makes Novec 1230 the cleanest, most environment-friendly chemical agent in existence. The standard ANSUL SAPPHIRE fixed nozzle system is capable of automatic detection and actuation and/or remote manual activation. 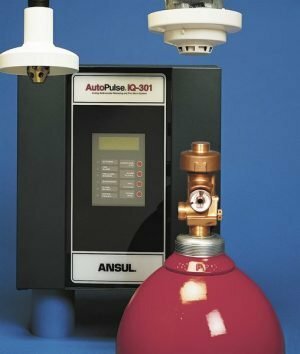 Detection is provided 24/7 through an ANSUL AUTOPULSE® Control System, with other detection options available. 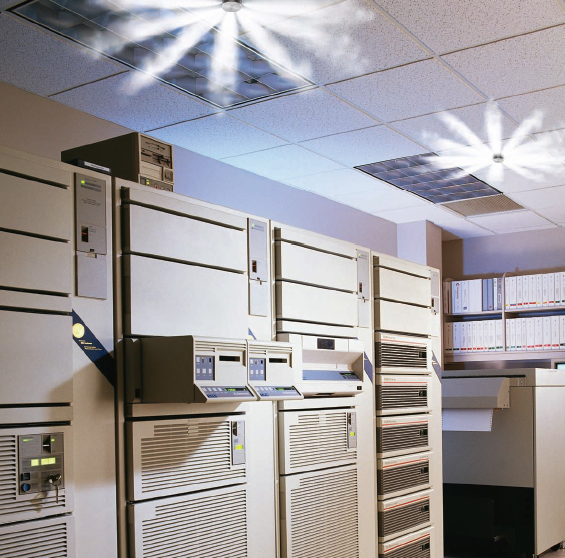 Each system is custom engineered to the specific application by trained ANSUL distributors.